Marina Country Club is the ONLY private club that is open to the public. Your entire family can enjoy the amenities and facilities here by the “pay per use” system. If you have People’s Association Passion Card, you can get special discounts at the entertainment and recreation outlets here. Marina Country Club is located at 600 Punggol 17thAvenue Singapore 829734. There is a regular shuttle bus service pick up from Sengkang Mrt station, directly opposite Compass Point and in front of HDB block 257C. From Sengkang Mrt the pickup times are 745, 845, 945, 1200, 1230, 1300, 1330, 1400, 1430, 1745, 1815, 1845, 1915, 1945, 2012, 2045, 2115, 2230, 2300, 2330 and 0000 hours. From Marina Country Club the pickup times are 815, 930, 1145, 1215, 1245, 1315, 1345, 1415, 1630, 1800, 1830, 1900, 1930, 2000, 2030, 2100, 2130, 2215, 2245, 2315 and 2345 hours. If you are driving here via TPE, exit at Punggol Road Exit 9 and drive down Punggol Road to Punggol Avenue 17. The car park rates for the 1st hour is $1.07, 2nd hour is $2.14, Maximum 3rd hours onwards is $3.21. Marina Country Club is a club that has activities that cater for all ages. This is where you can relax, chill and unwind after a hard day’s work. Over here, there are water sports activities like wakeboarding, water-skiing, deep sea fishing, spa, prawning areas and many tantalizing restaurants for you to savor the delicious dishes. Marina Country Club can hosts up to 500 boats. It also has boat repairing, grooming and servicing outlets here to cater for your boats’ needs. 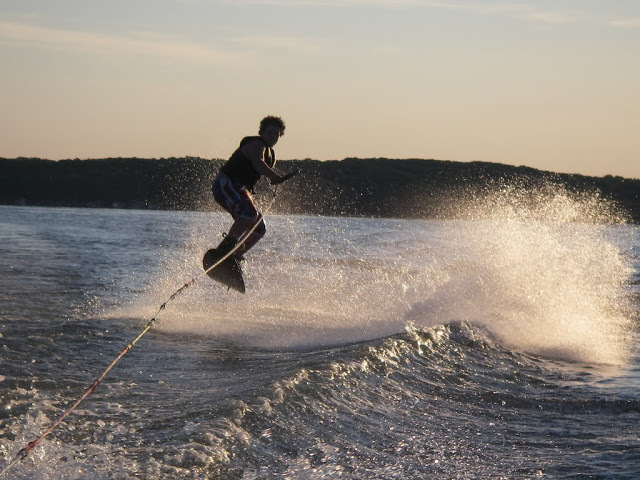 Water sports enthusiasts will love this place as you can wakeboard, water-ski, set off to the seas for boat trips or fishing trips and also get your powered pleasure craft driving license here. The Wakeboarding Hub here hosts up to 45 wakeboard boats which is ever ready to set off to take you into the sea to wakeboard and water-ski. There are personnel here that can assist you and also equipment here for you to use. If you don’t like to fish at the local fishing ponds, then you can rent a boat and set off to the sea for fishing trips. Or if you just want to hang out in the deep sea and chill with your friends and family, you can also set off a day boat trip here too. There are specialist personnel here that can assist you. Marina Country Club is an official training centre for Powered Pleasure Craft Driving License (PPCDL) by the Maritime AND Port Authority. To drive a powered pleasure craft into the port waters like Marina Reservoir, around Marina Bays Sands, Sentosa Integrated Resort and at Keppel Bay, you need to attend PPDCL course at METS (Maritime Education Training School) to get a PPDCL license. The courses will be conducted with very well-experienced ex-master mariners with over 50 years of marine industry related and seafaring experiences. There is an array of restaurants with a variety of cuisine for you to enjoy a sumptuous meal with your family. While dining, you can enjoy the spectacular views of the coastline as the sun sets. It brings back memories of the old Punggol point that is filled with seafood restaurants. -Sakura restaurant which specializes in Shabu Shabu and charcoal grilled Japanese food. -Great Atlantis Grand Grouper which specializes in using the giant grouper to be made into many mouth- watering delicacies. -Punggol Seafood restaurant which is the previously Old Punggol Hock Kee Seafood at the Punggol End. -Punggol Dam Seafood restaurant with the push carts concept has stalls that sell drinks, BBQ, satay and deep fried food. -Channel Sam which is a unique western restaurant which serves live seafood. -Horkomo Pier Bar is a chic hang out place where you can dine and wine while enjoying the performances from live band. There is also Live EPL soccer here too. -There is also a 7-11 store here at your convenience. Marina Country Club organizes many programmes and holiday camps that will keep the kids occupied for hours while having fun with the activities arranged for them. There is also an arcade with games machines as well as the Children’s play area for them to interact and have fun with the rest of the children. There are 2 conference rooms and banquet facility here for corporate meetings and social events. The banquet areas can host from 20-50 persons. For more details, please contact Marina Country Club office for booking. Is it time to pamper yourself with some spa treatment? Try out Cozy Spa that is proficient in Thai massage and foot reflexology. Relax your tense muscles here and enjoy the massage to rejuvenate and recharge your well-being. Marina Country Club is definitely a club that provides fun-filled activities and facilities for everyone. It is definitely a one stop club where you can hang out and bond with your friends and family. The best part of it is that it is open to public. Water sports lovers will definitely love this place as you can carry out lots of water sports activities at the marina. It is definitely a gem in the northeastern part of Singapore.